I moved to the area from Alaska in 2006. Patrick was one of the first people I met. Not only did he help me find my first "starter" house, but he also got me acquainted with the area. His knowledge of the housing market was second to none. He has since sold my "starter" home and found and facilitated the purchase of our dream home. He was also the purchasing agent for some friends of mine who moved here from out of state. They couldn't be happier. 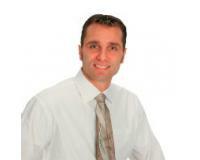 I wouldn't hesitate to recommend Patrick to anyone for their real estate needs. 5 stars all the way!Steve T.
Patrick takes the time to make sure he understands your needs and expectations. He also ensures that you are fully informed during the entire process of selling and/or buying your room. His personal devotion to knowing the current housing market, latest trends and having access to several resources- makes him a very valuable source of information, in addition to being an excellent Realtor. I have so much confidence in Patrick that I never hesitate to refer him to family and friends. He has helped my friends sell their homes for thousands over what other realtors told them was even possible. I can't say enough great things about him. When we make our next move, we will be using Patrick Torgrimson- you should too! !Nancy A.
Patrick was prompt with every request. Patrick was professional prompt and helpful with every step of our transaction. Patrick is an amazing agent! When we bought this house it was in foreclosure and Patrick's construction knowledge exceeded my expectations. After the purchase he also helped design the finish of the home. His expertise helped save us time and money! I would recommend Patrick 100% to everyone buying or selling a home, he will surely not disappoint!! Patrick is Great! He always kept us informed and updated and he was always available when we needed him!